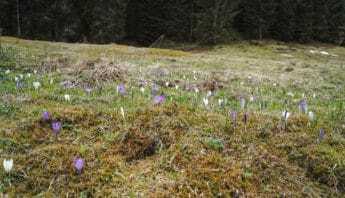 Alpenvorland Segtrails ist ein Einzelunternehmen. 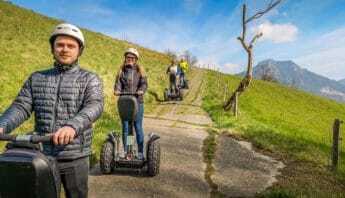 Unter der Marke “Alpenvorland Segtrails” vermarktet die Firma geführte Segway -Touren für private und gewerbliche Kunden, auch sogenannte Segway – Events und Segway – Rahmenprogramme für Seminare, Workshops, Tagungen und dergleichen. Freie Vermietungen ohne Begleitung findet in der Regel nicht statt. 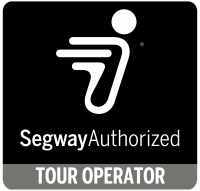 Weiterhin werden unsere Segways auch an Kooperationspartner vermietet. Die Begriffe “Segway®”, “Segway Personal Transporter®”, “Leansteer®”, “Dynamic Balance®” und das Logo “Flyguy®” sowie sämtliche Ableitungen oder Wortverbindungen sind durch Segway Inc. (Bedfort/USA) und mittelbar durch die Segway – Vertriebszentrale für Deutschland, die KSR Group (Krems an der Donau) geschützt. 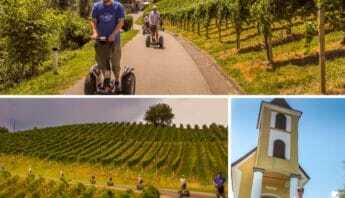 Mit dem Kauf der Segways über den Offiziellen Vertriebsweg hat Alpenvorland Segtrails die Rechte an der gewerblichen Nutzung des Begriffs Segway erhalten. 12.2 Google’s Processing Records. Customer acknowledges that Google is required under the GDPR to: (a) collect and maintain records of certain information, including the name and contact details of each processor and/or controller on behalf of which Google is acting and (if applicable) of such processor’s or controller’s local representative and data protection officer; and (b) make such information available to the supervisory authorities. Accordingly, Customer will, where requested and as applicable to Customer, provide such information to Google via the user interface of the Processor Services or via such other means as may be provided by Google, and will use such user interface or other means to ensure that all information provided is kept accurate and up-to-date. Redundancy. Infrastructure systems have been designed to eliminate single points of failure and minimise the impact of anticipated environmental risks. Dual circuits, switches, networks or other necessary devices help provide this redundancy. The Processor Services are designed to allow Google to perform certain types of preventative and corrective maintenance without interruption. All environmental equipment and facilities have documented preventative maintenance procedures that detail the process for and frequency of performance in accordance with the manufacturer’s or internal specifications. Preventative and corrective maintenance of the data centre equipment is scheduled through a standard process according to documented procedures. Access Control and Privilege Management. Customer’s administrators and users must authenticate themselves via a central authentication system or via a single sign on system in order to use the Processor Services. Google stores data in a multi-tenant environment on Google-owned servers. Data, the Processor Services database and file system architecture are replicated between multiple geographically dispersed data centres. Google logically isolates each customer’s data. A central authentication system is used across all Processor Services to increase uniform security of data.